Los Carneros AVA straddles the foot of Napa & Sonoma Counties. The larger portion of the AVA actually lies within Sonoma County; grapes from that part can also use the Sonoma Valley AVA designation. The smaller section, in Napa County, uses Napa Valley AVA on the label. It is one of the coolest areas in California, its vineyards benefiting from a combination of mountain elevation (up to 300m) and the constant cooling effect of fog and breezes from the San Pablo/San Francisco Bay nearby. Initially a hot-spot for fruit for sparkling wine production during the 1970/80s, pioneered by Gloria Ferrer, Domaine Carneros, and Codorníu Napa. It has since become a mecca for Chardonnay aficionados and more recently, of Pinot Noir. 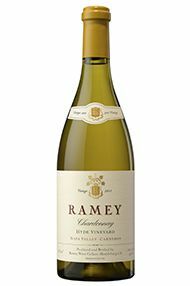 David Ramey is famous for his Hudson & Hyde Vineyard Chardonnay.